It is the time to drink in the New England growing season’s fantastic finale of color–wow! Our appreciation of color is so intrinsic to our biology: bright colors on our plate signal nutrients and flavor and the brilliance of fall foliage keeps us moving outside and getting those essential rays of sun even as the weather turns cold. Brilliant, deep green grass means healthy land which supports the health of our food, our water resources, our oxygenated air. last weekend to pick your own organic raspberries at Wright-Locke Farm in Winchester, MA. watch fresh organic cranberries being harvested at Fresh Meadows Farm in Carver. …the fresh organic cranberries you can order in November with your shares are picked using dry harvest (which involves much less bruising) and then separated from the chaff and hand sorted on this amazing antique wood conveyor machine. Touring their fresh harvest operation is weather-dependent, so if Sunday and Monday live up to the dry forcast, head to their stand. If it is drizzly in the morning, tours will view the wet harvest (for their frozen and juice berries), which is also a unique adventure. 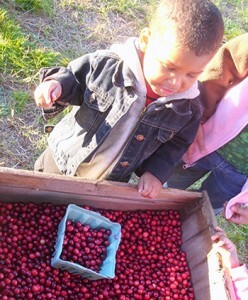 Tours are gathered at the farm stand, which will continue to be open beyond this weekend, and selling delicious cranberry items (like orange infused sugar coated organic cranberries–special gift!). This weekend and next: Cider Hill is among very few orchards in our area still open for picking. It is a beautiful farm with nice views from the top of the hill, and an interesting variety of apples. And you can piggy-back a beach trip on this one (near Salisbury and southern NH beaches). Goats! 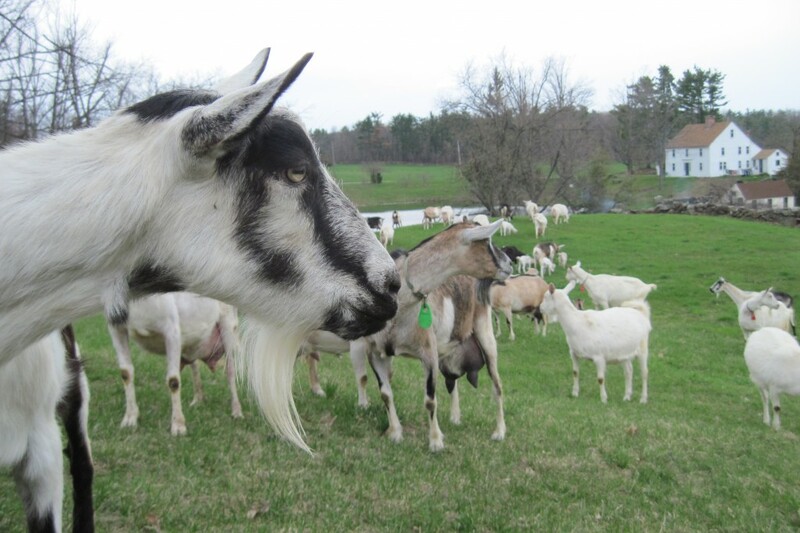 Crystal Brook farm, where we get our goat cheese for the Extras, is open for tours and farm stand sales Wed.-Sun…it’s a little off the beaten path, but the wide-open pastures are breathtaking (and a quiet getaway), and it’s only about an hour from Arlington. Riverland Farm is in Sutherland, just outside of Amherst and Northhampton on the east side of the Connecticut River, along River Road/MA-47 in case you are the vicinity of those towns or visiting Mt. Tom.